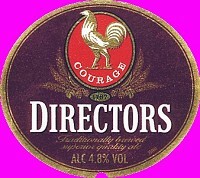 We have a wide range of real ales from a variety of sources that we offer. You will find that we change our range frequently! 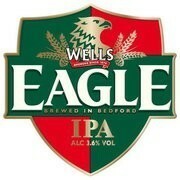 Wells Eagle is the Official Beer of the Bedford Blues Rugby Club. Thwaites Lancaster Bomber shot to fame when England and Lancashire Cricketer, Andrew “Freddie” Flintoff, endorsed it during the 2005 Ashes series win over Australia. It is now the Official Sponsor of Lancashire County Cricket Club and the beer can now be seen on the shirts of Freddie's teammates at Lancashire CCC and continues to have a successful partnership with cricket in the North. Lancaster Bomber is fast becoming the beer that most pubs are selling as their leading premium cask beer as it has a great moreish taste that has wide appeal amongst beer lovers everywhere. At 4.4% ABV, our Head Brewer's favourite beer is best enjoyed from the hand pull in pubs and bars and is available across the Thwaites pub estate and the free houses we supply. Bursting with taste, Young's Bitter is an easy to drink, refreshing cask ale with a fresh, fruity aroma that leaves a long, satisfying bitter finish. 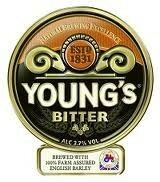 It is traditionally brewed to deliver a clean taste and is light and dry in flavour with a subtle taste of hops. 100% malt brew: Maris Otter and crystal malt with Fuggle and Golding hops. 4.5% brown colour with a good head, slight roast malt aroma, malt and hop taste.